Green Flash Soul Style IPA pours clear and golden in color, lots of carbonation. The head fades to a rim ring and leaves moderate lace. Very sweet, citrus aroma. Reminds me of dried pineapple and orange sugar drops. The flavor brings the bitterness, but the sweet citrus is in the front, middle, and back. Dry on the finish. A fine warm weather beer. Bell's Hopslam is an IPA brewed with honey, and it is, of course, a ridiculously hard beer to track down. Or, it has been. But I finally found some at a regional beer store... in fact, there were two six-packs on the shelf, mingling casually with the other every-day IPAs. A full six-pack of Hopslam was twenty-four bucks. I bought two single bottles. This is my second of the two. 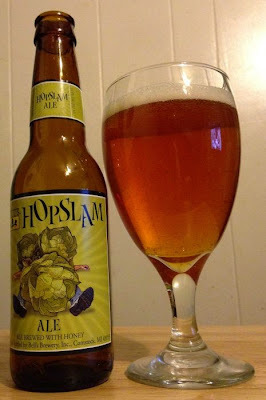 Hopslam couldn't possibly live up to all the hype, but having said all that, it is undeniably very good. It pours bright, amber orange; the head is average and fades to a bit of lace. The aroma is complex. Floral and grassy hops, citrus, rye, and I think some of that honey show up in the nose. The flavor is all big, bright, strong hops up front. The rich, semi-sweet malt comes through at the end. The honey is not a big presence in the flavor, it's mostly there in the smell. 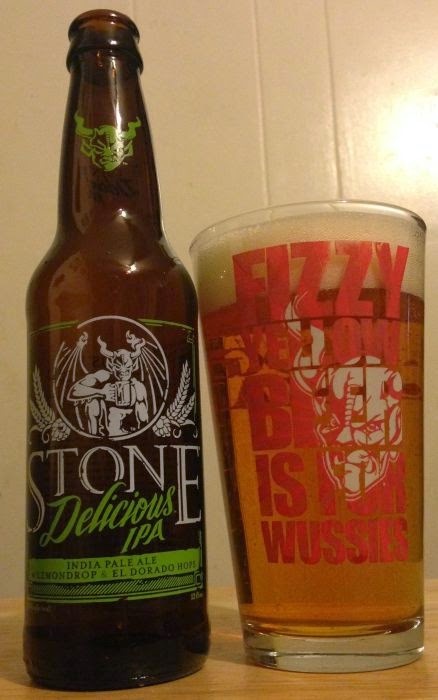 This isn't one of my favorite IPAs, I won't go out of my way to buy it again and I won't pay high prices for it. But I have to admit, it's a fine beer. Innis & Gunn's Toasted Oak India Pale Ale is the least of the beers I've had lately, and I have no idea why it's billed as an IPA. But it isn't bad. It pours a clear, dark gold color with a trace of head. The aroma is vanilla, butter, a hint of oak. The flavor is very sweet upfront, and rich and malty in the finish. 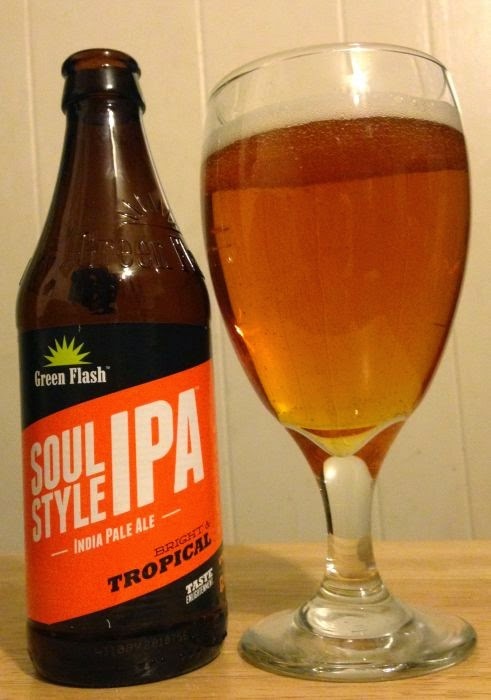 If you have your heart set on a true IPA, prepare to be disappointed. I think this is more of a classic English ale. But, at that, it's a fairly good one. It occurred to me that I never posted pictures from any of the winter hikes I made earlier this year. Here are a few pics, along with links to full photo albums. On January 2nd I hiked Andy Layne Trail in Catawba, Virginia, and continued to Tinker Cliffs on the Appalachian Trail. Here's one pic of the view from the cliffs, and the rest of the pictures are at Picasaweb. 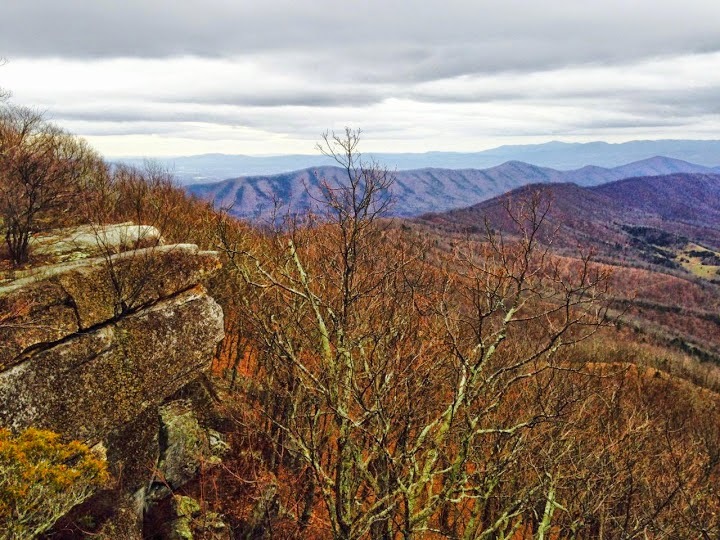 On January 11th I hiked to Devil's Marbleyard near Natural Bridge, Virginia, and explored the significant network of trails around that amazing boulder field. 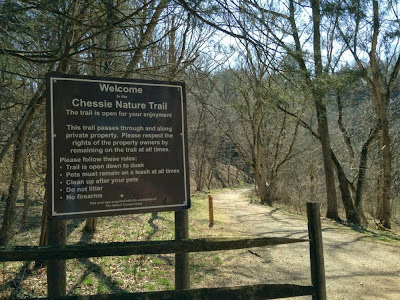 Here are the photos from that hike. The Merry Plantation House was built in 1820 and originally occupied by it's first owner, Dr. James Merry and his family. Over the course of the next hundred years, the Merry Plantation property was held by a series of private and commercial owners. 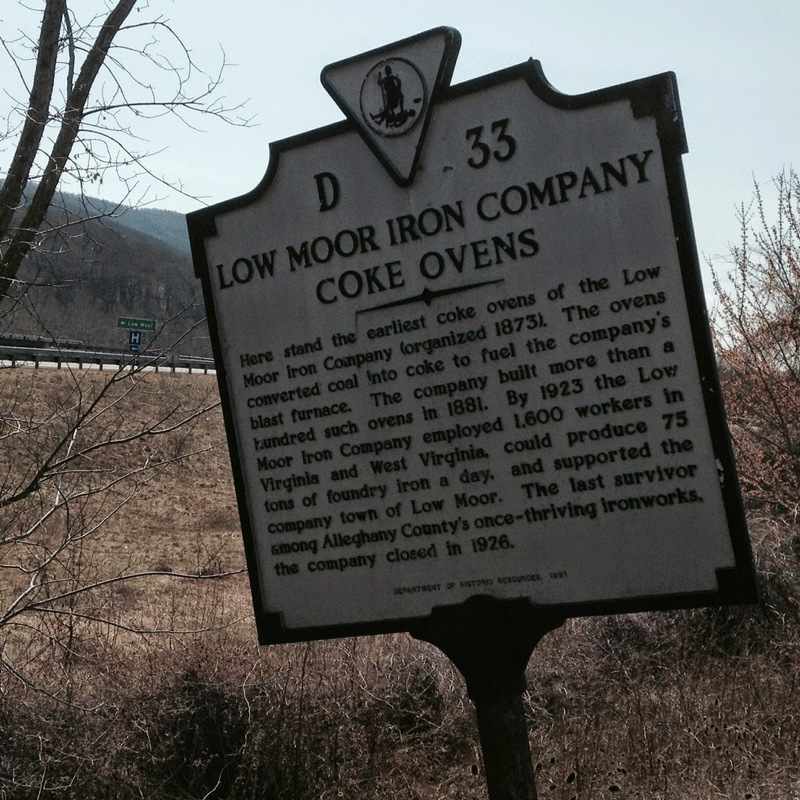 The Gleason family, who owned a great deal of land in the Low Moor area, were the last to live at Merry House. It has been unoccupied since at least the 1940's. 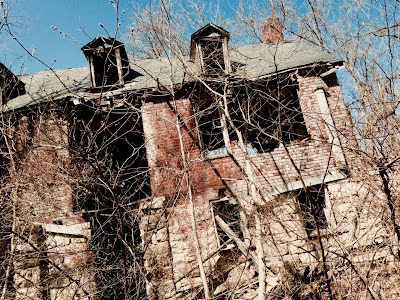 Today, Merry House stands (if you can call this standing) in a state of extreme disrepair, overcome by forest and forgotten. 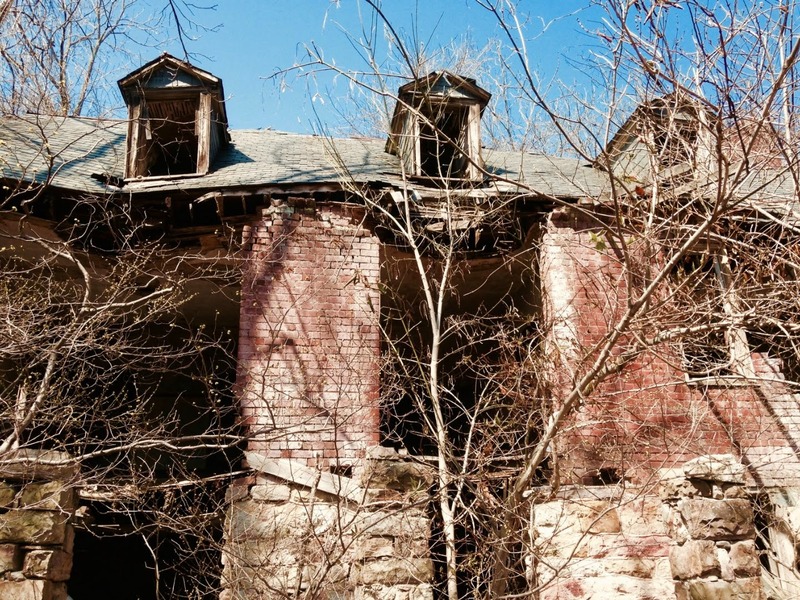 If this site isn't haunted, it seems like a waste of a golden opportunity. 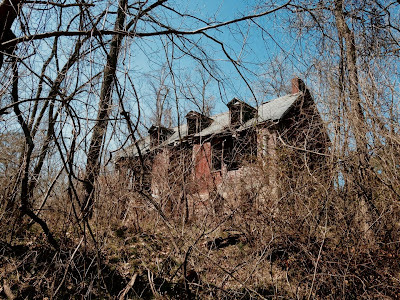 I walked to Merry House this week and took these pictures. Counter to the impression these pictures may create, the house isn't particularly isolated or hard to find. 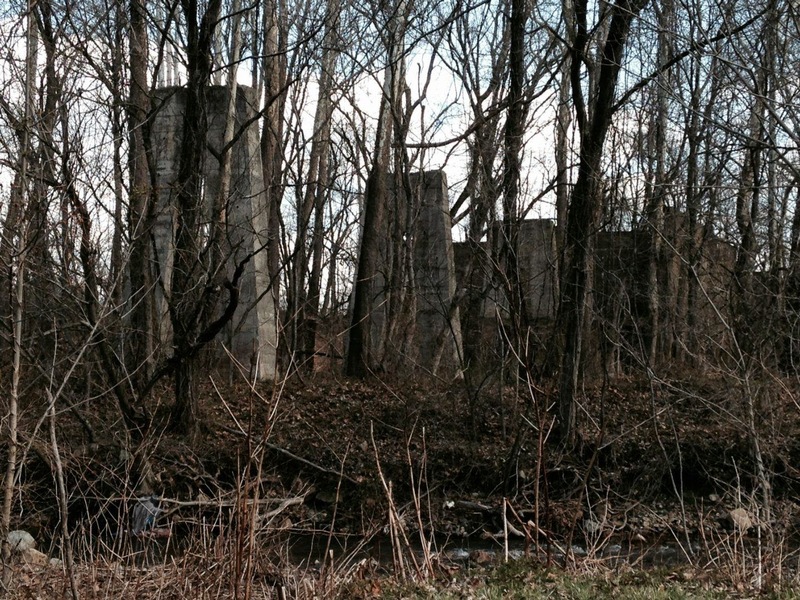 It's just down the hill and around a hundred yards through the woods near the local elementary school. 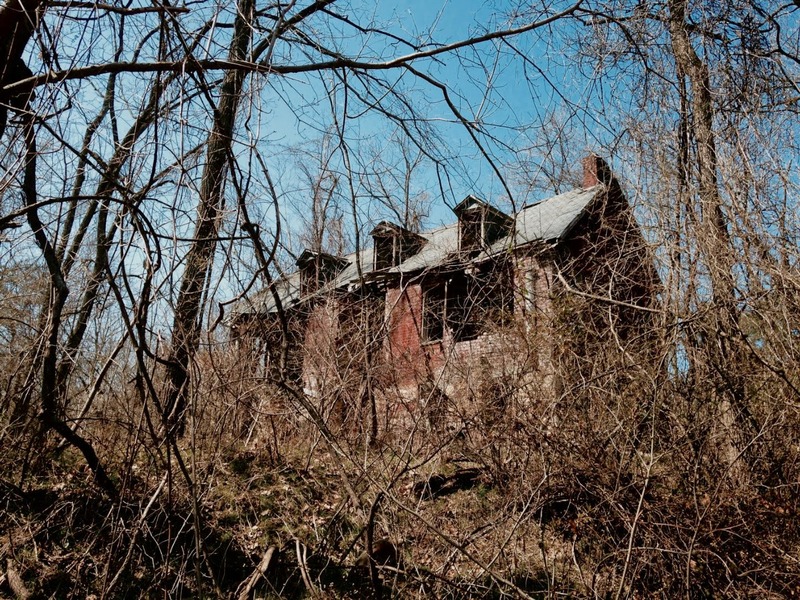 The last picture in this gallery is a satellite image I pulled off the of the internet, it shows just how close this house is to the modern world. "Close to the modern world" in terms of physical location, I mean. In terms of the feeling it conjures, and the overall aesthetic of the ruin, visiting Merry House is like traveling to a different dimension entirely. 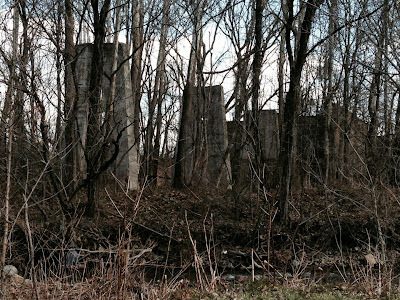 A friend at work first told me about this location several months ago. I've wanted to go and take pictures ever since, but I'd been putting it off so I could use my days off for longer, more substantial hikes. At the moment. 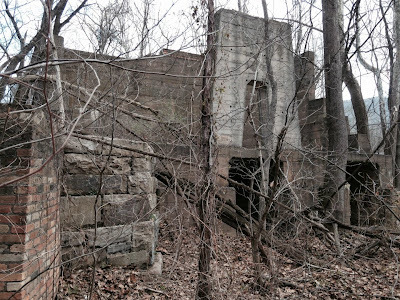 longer hikes are ruled out under doctors' orders, and this past Monday seemed like the day to investigate some local history. You can click any of these pics for bigger versions. 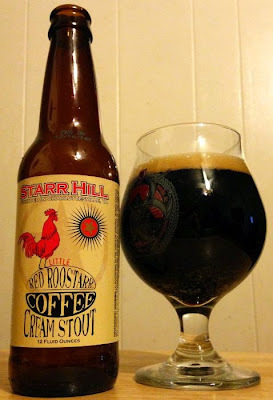 Little Red Rooster Coffee Cream Stout is the best thing I’ve had from Starr Hill Brewery in Charlottesville. This stout pours dense, dark brown with a little bit of tan head. The aroma is sweet coffee, maybe a little chocolate in the background. The flavor is really sweet, smooth, rich, and delicious. There are caramel and coffee notes, and a little vanilla. The finish is a little watery, but that ends up working in the beer’s favor. 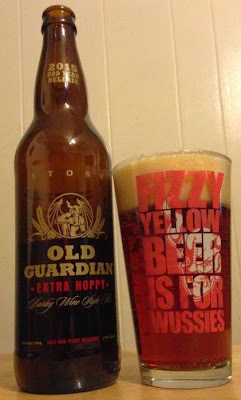 Sweet beers can grow cloying before the last sip, but this one stayed smooth and enjoyable. It suggests a number of possibly damn good food pairings. I’ll have this again, hopefully at a restaurant. I may have found this year’s lawnmower beer. Sierra Nevada's Hop Hunter IPA meets in the middle between light and bitter, and it really hits the spot. 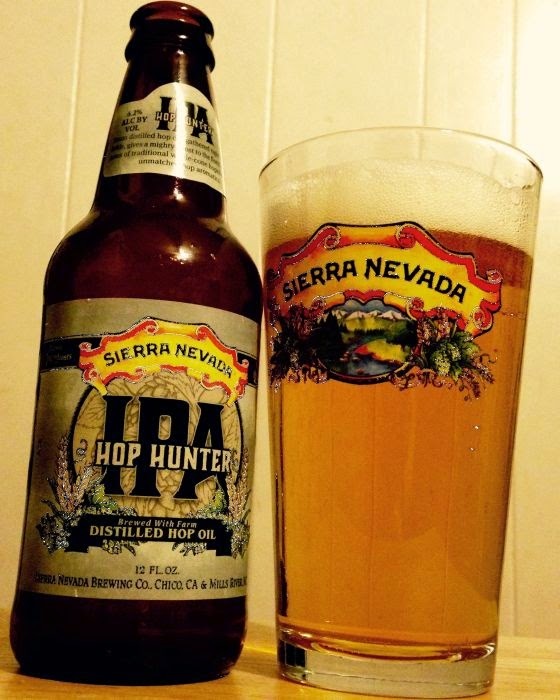 Hop Hunter is made with whole-cone hops and with distilled hop oil. It pours a very bright, golden orange with a trace of head. Very strong, sweet citrus hops dominate the aroma. The flavor is crisp and bright, more candied citrus up front, pineapple and tangerine. Then an aggressive pine/grass hop bite on the back end. It quenches a thirst, and it satisfies my craving for big, bitter beer. And it does all that at fewer than 200 calories for a twelve ounce bottle. I don't know what more I could ask for a summertime beer. Xocoveza Mocha Stout is a collaboration between Stone, Insurgente, and a brewer named Chris Banker. This is a damn fine beer. It pours dark brown with a mountain of head, the aroma is rich and spicy. The aroma is where I really detected the coffee and peppers promised by the label. I liked the aroma, but I wasn't sure if I'd like those notes in the flavor. But the flavor is where this beer plays the rest of it's hand in grand style. The coffee is there up front, but the vanilla really comes out on the finish, along with kind of a caramel/nutmeg blast right at the end. As it warmed I thought the nutmeg and cinnamon became more pronounced. I never thought I'd be able to taste everything this beer promised on the label, but it's all there, either in the nose or on the tongue. This is a LOT of plates to keep spinning at once. I can't believe they pulled it off. This is one of Stone's best collaborations. I am honestly astounded at just how good this beer actually is. My winning streak continues with Global Warmer, which is really just a fine, rock-solid amber ale from Six Point. This beer pours a very clear amber color with a lot of foam that sticks around for a while. The aroma is all hops; strong pine and grass and sticky citrus. The aroma has hops everywhere; before, during, and after the rich, warm, bready malt in the middle. The finish is bright and dry. Really delicious, downright exceptional. What a streak I'm on. I can't remember the last time I tried a new beer and didn't enjoy it. 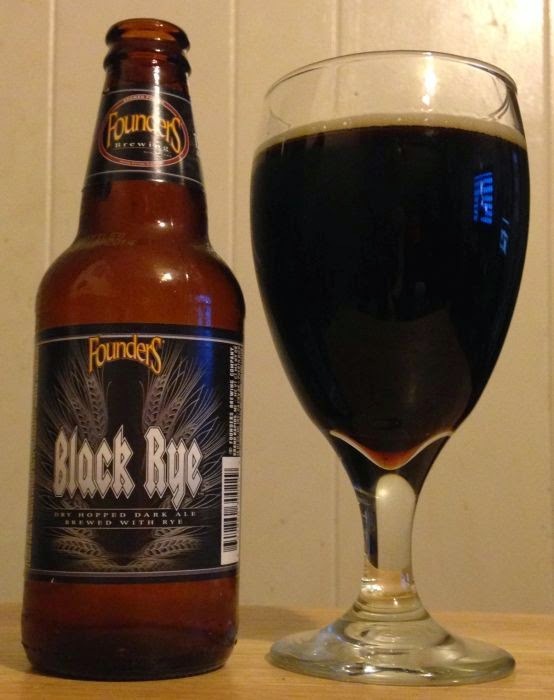 I've really been enjoying Founders Black Rye. This one was the last from a four-pack, but I don't think it will be my last four-pack. Black Rye pours dark brown to black, the head is brief and it doesn't leave much lace. The aroma is charcoal, coffee, rye, and hops. 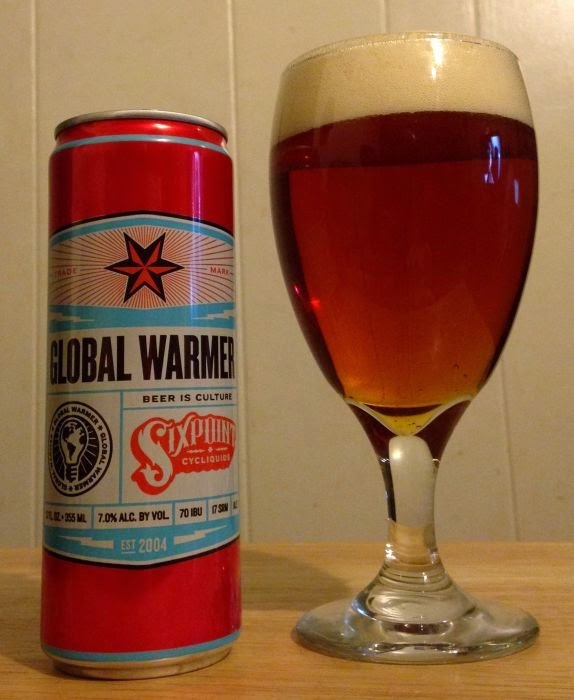 The flavor is mild on the front, then the roasted malt and hops flood the tongue. Nice. I'm really on a roll right now, as beer goes. I can't remember the last time I tried one I didn't enjoy. 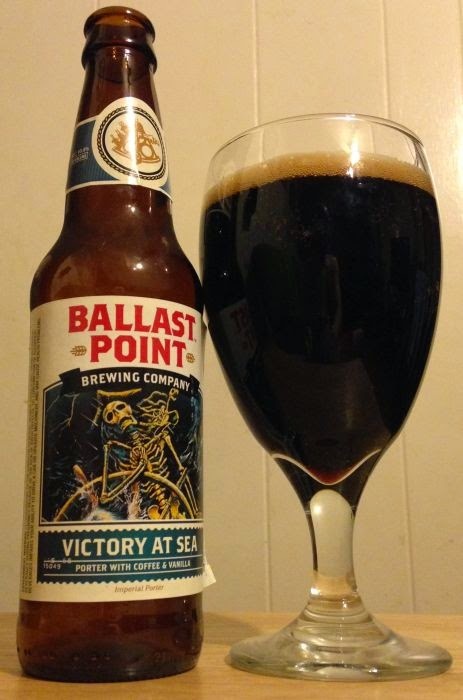 Ballast Point's Victory At Sea is a coffee/vanilla porter, and it's absolutely delicious. This beer pours dark brown, the head fades to a thin lace. The aroma is coffee, rich roasted malt, and sweet/spicy notes like apple butter. The flavor is wonderful. Very warm vanilla is woven throughout the taste, with more of that rich, sweet malt and a strong coffee finish knocking this thing out of the park. Just as a side note; last night I was talking to a friend who works at a craft beer store. We agreed that the craft beer bubble we're enjoying right now just can't last a lot longer. There are so many damn good breweries out there right now, most of them turning out so many good beers... and I'm talking about just excellent beers. It's been like this for years now; there are so many great niche beers, and it seems like an impossible dream to think that the market can sustain this kind of expansion. 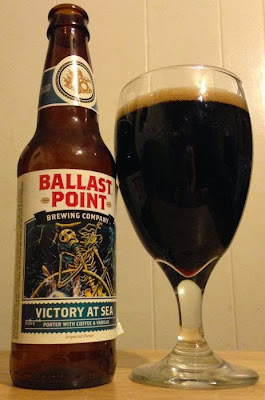 This Ballast Point porter is just one more outstanding beer that I tried and absolutely loved, and will likely never have again. Even my all time favorite beers by Stone and Sierra Nevada and North Coast and Avery and Green Flash and etc, etc ... even those favorites don't have the residence in my fridge that they ought to have. It really seems like this typical beer-geek lust for the next great new beer has got to have a detrimental effect on long-term market viability for breweries. Sometimes I feel like I ought to narrow my scope and only drink my favorites, just to do my part to keep them economically relevant. But when brand new, outstanding beers like this one keep turning up, it's hard to curb that jones to sample the next great brew. I am not a promiscuous person ... except when it comes to beer. I wanna taste them all. I absolutely love Founder's Dark Penance Black IPA, it's one of the very best black IPAs I've had. It pours dark brown, the head is average. The aroma is more complex than I expected, and really unique. Lots of candy notes, apples and pineapple and lemon, and a hearty cocoa background, mingled with grassy, floral hops. The taste is even better. This thing has more flavor on the back end than many other beers I love. 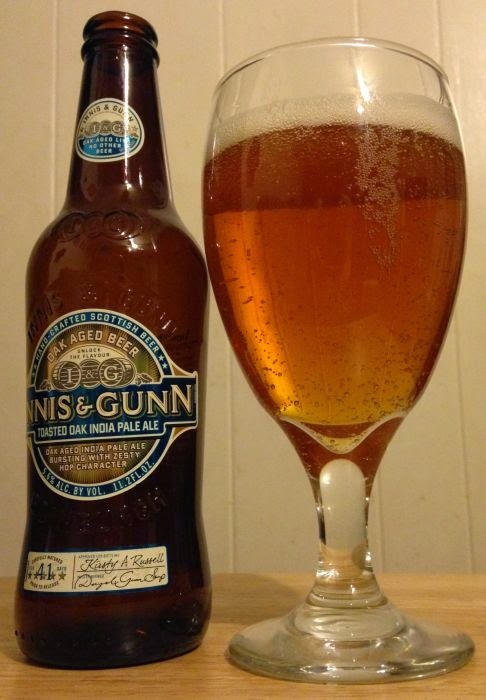 It opens with that fruity sweetness, then moves along to a rich, dense malt. On the swallow there is a blast of bitter hops, and then, on the exhale, one last hint of roasted malt; something like caramel and coffee. Wookey Jack and Sublimely Self Righteous need to make room on the top shelf. 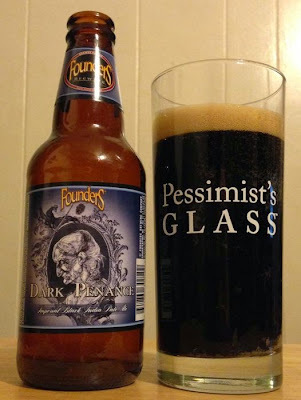 This isn't a nominal effort by Founders to throw a black IPA onto the market. This is one of their best beers, and I think it's the best Founders IPA I've tasted. This one is new to me, and it's just a beautiful beer. One more of my few-and-far-between whiskey reviews. For the most part, my tastes in whiskey are simple. I find something I like and I stick with it. My favorites these days are Jameson and Templeton, and I rarely try anything new. But today I decided to give a new rye a go. Bulleit Rye is new to me, and fairly new in general, having been launched in 2011. It isn't going to replace Templeton as my go-to rye, but this is an abundant and appetizing whiskey. 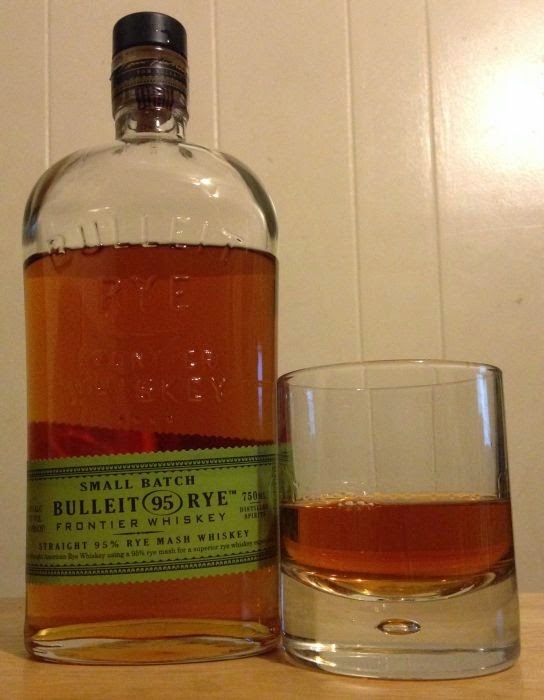 Bulleit Rye pours a pale bronze and smells very strong and sweet, like butterscotch and candied fruit and spice. The flavor is somewhat on the medicinal side, but that's to be expected at 90 proof and 95% rye mash. There is a mint character I associate with cheaper bourbon, but it doesn't dominate the flavor. It's just there, in the background, always present but never overpowering. Like the best brown liquors, this is for sipping and savoring, not for guzzling. I like my whiskey chilled and served straight-up, but I poured this one neat from a room temperature bottle. So I can't comment on complexity changes as the beverage warmed. Bulleit Rye is pretty good. I'm still a Jameson man, for the most part. Templeton is probably going to remain my favorite rye, and Maker's Mark bourbon will probably always be one of my reliables. But I don't think I'll have to talk myself into finishing this bottle in time. 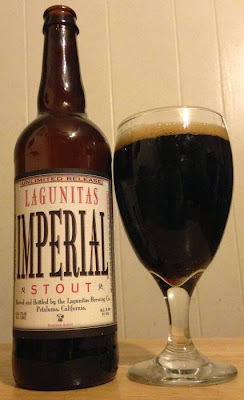 Lagunitas Imperial Stout is just big bitter chocolate. I think that's a good thing. This beer pours dark brown, the light-tan head fades to nothing quickly and leaves no lace on the glass. This stout smells like bitter chocolate and tastes like bitter chocolate and coffee. Not too sweet, just strong and bitter and rich. A little hop tingle on the back of the tongue. When it comes to imperial stout, go big or go home. Lagunitas Imperial Stout does not need to go home. 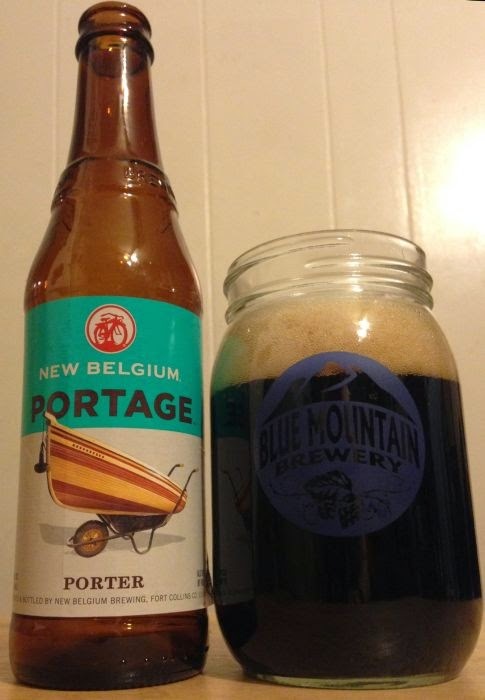 I think that Portage, their new seasonal porter, might be the best damn beer I’ve ever had from New Belgium. It pours a dark chocolate brown with a lot of creamy head. The aroma is rich. Coffee, caramel, chocolate, dark bread, walnuts. All those notes are on the tongue, too. It’s rich, toasty, and warm, and the close has a little bit of bitterness that finishes just right.